Hello everyone, how has your week been? Mines been pretty busy. Anyway, running with the theme of skin care in the last few posts, I purchased these the other day, and I thought I’d share my thoughts on them with you guys! 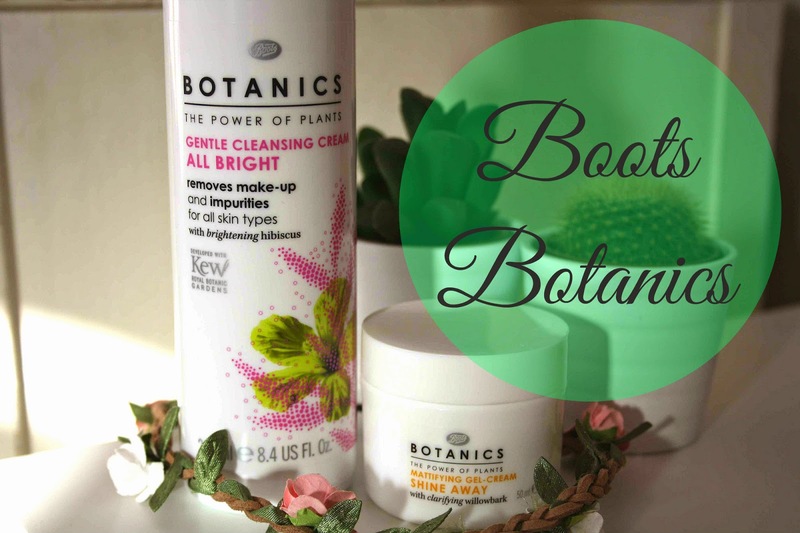 Boots have a range called ‘Botanics’, which haven’t been there for THAT long. I decided that as my skin hasn’t been great, I’d try out some of the stuff from this range. Firstly I picked up the make up remover cream. I’ve never had a ‘cream’ formula make up remover, in the past I’d either used make up wipes or micellar water, so this was new to me. It does smell so good, I’ll give it that but there is something about it I’m not too sure about. It kind of feels quite greasy on the skin, however once its all removed it does leave your skin feeling soft. I’m just unsure on the kind of greasy texture, but I think I’ll have to keep giving it a try. For the price I can’t complain at only £1.99. Secondly I found the ‘Mattifying Gel-Cream’. I was searching for a new moisturizer type product, and this caught my eye. Again it was cheap like the make up remover, but I was more impressed with this. I had really bad dry skin around my nose area, and its really cleared that up over this week. It isn’t like your typical moisturiser but still works amazingly well, I’d really recommend this. It smells lovely too, and leaves your skin feeling so soft. Whats your favourite skincare range? Thanks for reading guys, I hope you enjoyed and maybe will go and have a look at these products!